Maserati of Cleveland – A Bernie Moreno Company in Middleburg Heights, OH, is proud and ready to serve the greater Middleburg Heights area. 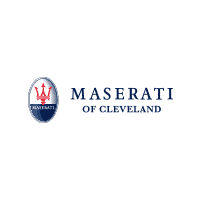 Since opening our doors, we at Maserati of Cleveland have promised to serve our clients in the best way possible: by offering honesty through sales, efficiency through service, and knowledge through our certified team members. We want to ensure you receive the best financing options when in the market for a new or used sedan, coupe, or SUV. Our monthly buy and lease specials can provide you with a vehicle that fits your budget, and we will be glad to hand you the keys.